The first-ever National Football League player augmented reality (AR) stickers are now live, and the distribution is mighty. The stickers were created by Miami-based SportsManias and have been released by way of its partnership with TikTok, the world’s leading platform for short-form mobile video, which happens to have more than 500 million monthly active users. Two stickers went live for the first time on January 25, and many more will be released leading up to Super Bowl LIII. 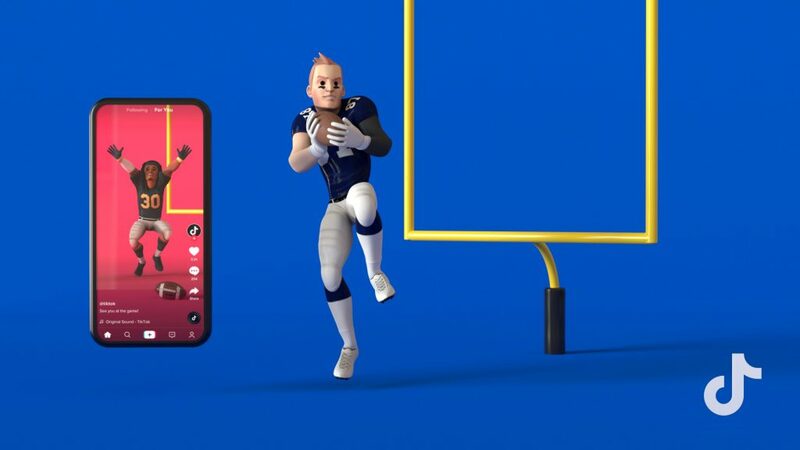 The stickers are available to TikTok users for use on their videos, and are focused on showcasing top players’ touchdown celebrations. Additionally, expect multiple NFL players to be using the AR stickets on TikTok as part of SportsManias’ relationship with TikTok and its existing partnership with the NFL Players Association. Those videos will be shared on their other social media channels as well. This is not the first time that animated sports emoji creator SportsManias will make a splash surrounding the Super Bowl. In 2016, it was ranked as the very top free sports app on iTunes, beating out apps such as the NFL’s official app, ESPN and CBS Sports. In 2017, the company was recognized as the NFLPA’s Licensee of the Year for Best Digital Breakout Product. These feats certainly excited TikTok as discussions were held surrounding the concept of partnering in close proximity to the Super Bowl.